With the vice chairman leaving early and Chair Yellen’s term ending soon, the president can remake the Federal Reserve. His nominees will potentially make up a majority of Fed governors. That’s likely to speed the shift to a more conservative, less interventionist central bank. Fischer addresses The Economic Club of New York in New York, U.S. on March 23, 2015. 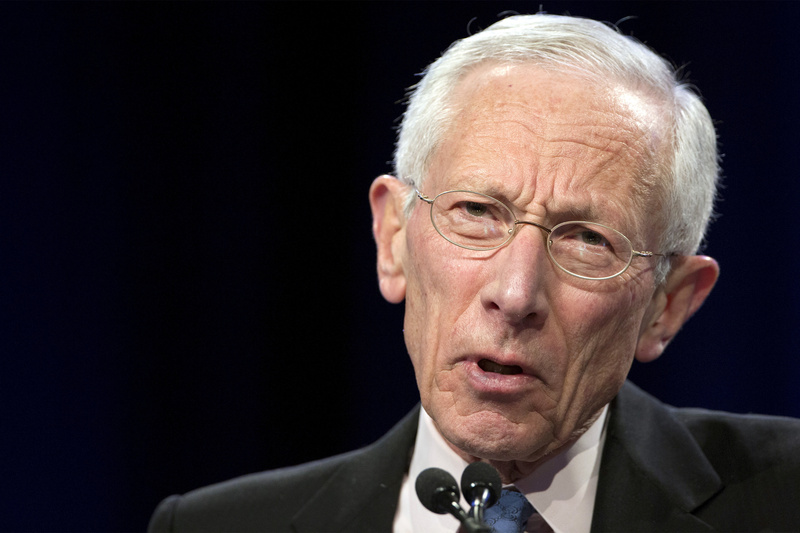 U.S. Federal Reserve Vice Chairman Stanley Fischer, a veteran central banker who helped set the course for modern monetary policy, said on Sept. 6 he will step down from his position in the middle of October. In a letter to President Donald Trump, Fischer, 73, said he was resigning for personal reasons and that the effective date would be on or around Oct. 13. Fischer’s term as vice chairman runs to June 2018, while his term as a Fed governor officially goes until January 2020.